GRAND RAPIDS — Intertek, a quality assurance services provider to a wide variety of industries, has opened a packaging performance testing center in its Grand Rapids laboratory. The center, the company’s first in North America to be accredited by the International Safe Transit Association (ISTA), provides complete evaluation of product packages, from design to material assessment and sustainability. The testing center will be located in 2,500 square feet of existing laboratory space at Intertek’s lab at 4700 Broadmoor Ave. SE. While the new center won’t initially create new jobs, company spokeswoman Cheryl Prejsnar said that “as the new packaging facility continues to grow, we hope to add additional personnel with experience in packaging and materials testing.” She said anyone interested in employment at the center should visit the careers section of www.intertek.com. With the expansion of e-commerce and globalization of supply chains, packages must be evaluated to ensure they will hold up and protect products from being damaged. A 2016 article in the trade journal Packaging World cited a study that one out of 10 packages purchased through e-commerce arrive to the consumer damaged, making it critical for manufacturers and retailers to ensure the integrity of their packaging. Intertek’s packaging performance services include design evaluation, sustainability services and testing to various standards including ISTA, ASTM International and customized specifications of retailers and manufacturers. Intertek, based in London, England, has more than 43,000 employees at more than 1,000 locations in more than 100 countries. It acquired the Grand Rapids location in the 2004 acquisition of Grand Rapids-based Entela Inc., a testing and certification laboratory for automotive components. The Grand Rapids location currently has more than 200 employees. 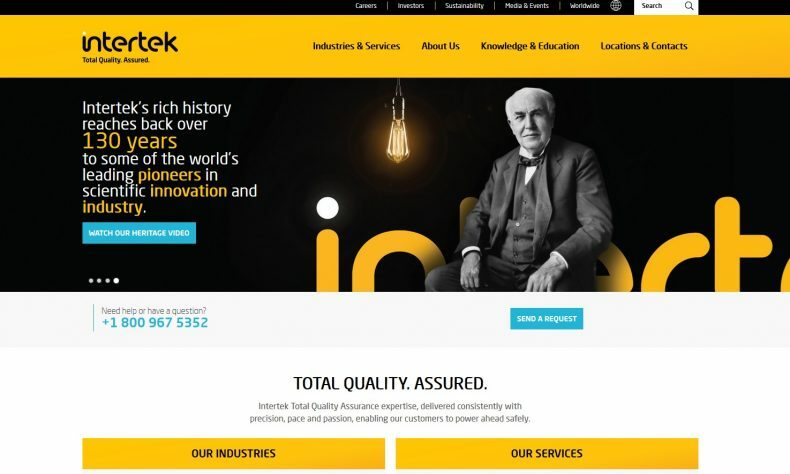 For more information, visit http://www.intertek.com/packaging.